Prototype: 1 type 406.1 transformer car, 1st class, and 1 type 406.6 transformer car, 2nd class, both painted and lettered for the German Railroad, Inc. (DB AG). 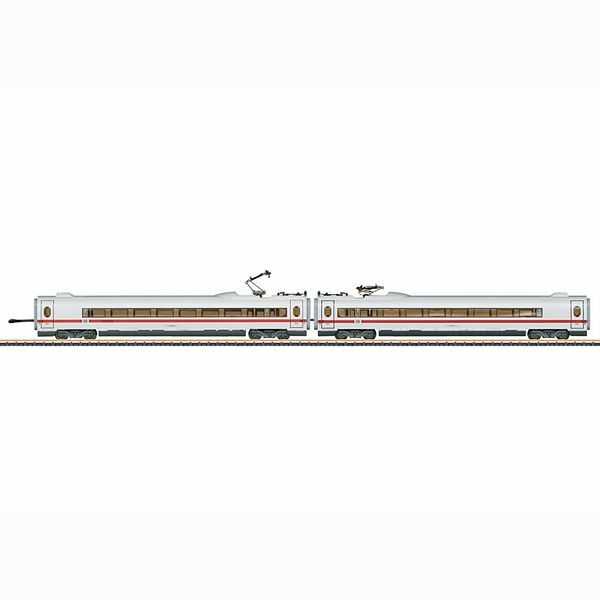 Model: The set has 2 intermediate cars to add to the model of the ICE 3 powered rail car train (Märklin item number 88715 with 87716). Maintenance-free warm white LEDs are used for the lighting. The cars have current-conducting special couplings and the models have been updated. Length 230 mm / 9-1/16".